The Beit Edmond J. Safra Synagogue is a jewel of the south east of the USA and a proud Sephardic house of worship that demonstrates and projects the beauty and the dedication of the Syrian Sephardic community and it reflects its high standard of consecration to the Almighty. After along and arduous search for a great Rabbi, we were rewarded by the acceptance of Rabbi Yosef Galimidi as our Rabbi. Prior to arriving to the Safra Synagogue, Rabbi Galimidi was the Rabbi of Shaare Ezra Sephardic Congregation in Miami Beach for 14 years. Rabbi Yosef Galimidi was born in 1965, in Buenos Aires, Argentina, was educated in Argentina, Venezuela & U.S. He received the Semicha from Rishon Lezion Chief Rabbi Mordechai Eliahu, and Rabbi Yehuda Y. Yeruslavsky. He received a bachelor degree in religious studies from The Rabbinical College of America Morristown N.J. He is also a Hazzan and a Baal Koreh. He is multilingual; fluent in English, Spanish, Portuguese, Hebrew, Yiddish, and Arabic - a perfect match for our affluent national and international Syrian Sephardic community. He has officiated in many countries including Israel, Venezuela and Brazil. He is also a member of the Kashrut dept of local Rabbinate of Miami, Eruv, Mikvah and Beit Din Rabbinate member. He has organized daily classes and shiurim for men and ladies and on the way to great accomplishments. 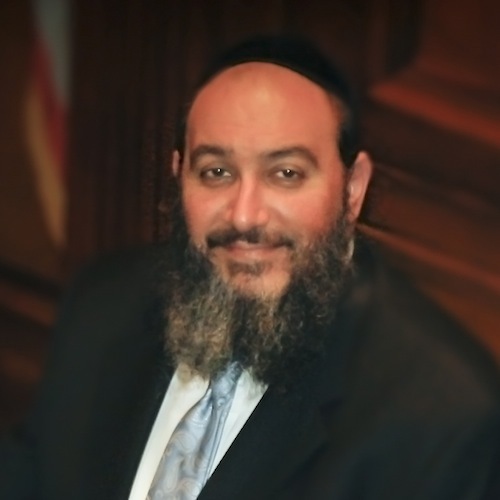 Rabbi Galimidi, aside from his daily schedule of services and classes, also deals with different aspect of the Community, including all lifecycle events, counseling, guidance, referrals, etc. He is recognized with the highest recommendations of the Sephardic Rabbinical Council of Brooklyn, as well as by the Great Chief Rabbis of Israel. Rabbi Galimidi and his wife Chana, have 4 children.